Summer 2017 Career Discovery Boot Camp! We are excited to announce Madison College’s innovative summer 2017 Career Discovery Boot Camps! This is our fifth year offering week-long enrichment programs for 11-15 year-old students, encouraging them to explore career paths in a hands-on college-level environment. 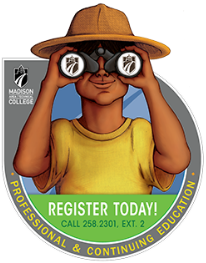 This year, we have 14 different Career Discovery Boot Camps, taught by Madison College faculty, and featuring the exceptional resources and facilities of Madison College. Thank you for supporting this effort, helping us get the word out, and for all you do to positively impact the lives of our children. We are excited to offer 14 camps this year!